The Fed's January meeting was the last for Ben Bernanke. 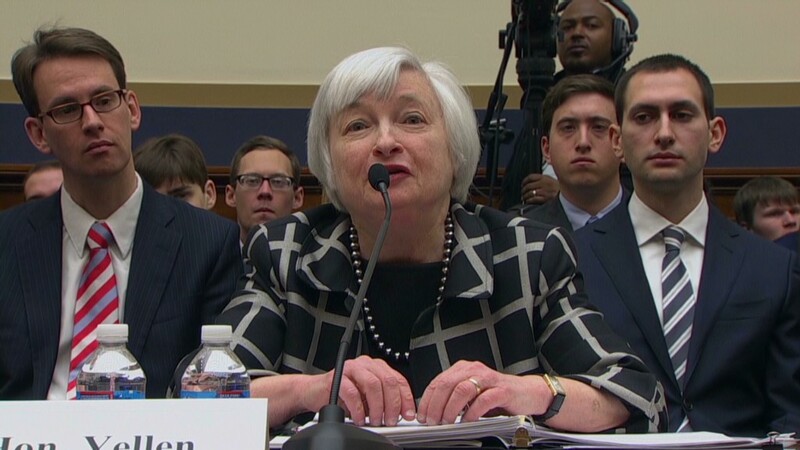 New Fed chair Janet Yellen is managing monetary policy now. The Federal Reserve has said it will keep interest rates low until unemployment falls to around 6.5%. But now that target is nearing, and officials are further distancing themselves from it. The minutes from the central bank's meeting three weeks ago revealed that Fed officials agree that with the unemployment rate now nearing its target, "it would soon be appropriate for the committee to change its forward guidance in order to provide information about its decisions regarding the federal funds rate after that threshold was crossed." In January, the unemployment rate fell to 6.6%. While that is the lowest level in more than five years, the labor market is still far from healthy. Much of the decline in unemployment has been the result of some Americans dropping out of the labor force. Instead of pinning its guidance on the unemployment rate, some Fed officials favor a new guidance strategy, the minutes showed, with several members saying it should emphasize the Fed's "willingness to keep rates low" as long as inflation remains below its 2% target. Though the Fed remains set on holding interest rates low for now, the minutes also showed that a few Fed officials raised the possibility of increasing interest rates "relatively soon." The Fed has been holding rates near 0% since December 2008. In fact, some members said it may be appropriate to consider a hike "before the middle of the year." Meanwhile, Fed officials think the economy is moving in line with its expectations, and its decision last month to continue to cut back on its stimulus was "appropriate." Despite a weak December jobs report, the Fed's 10 voting members unanimously decided to reduce the central bank's bond-buying program to $65 billion in February, down from $75 billion in January. Fed officials said as long the economic outlook doesn't change, the Fed will likely reduce its purchases by $10 billion at each meeting. But a number of policymakers also said the central bank should be prepared to change course "if the economy deviated substantially from its expected path." Recent economic data has been disappointing, particularly in the job and housing markets. 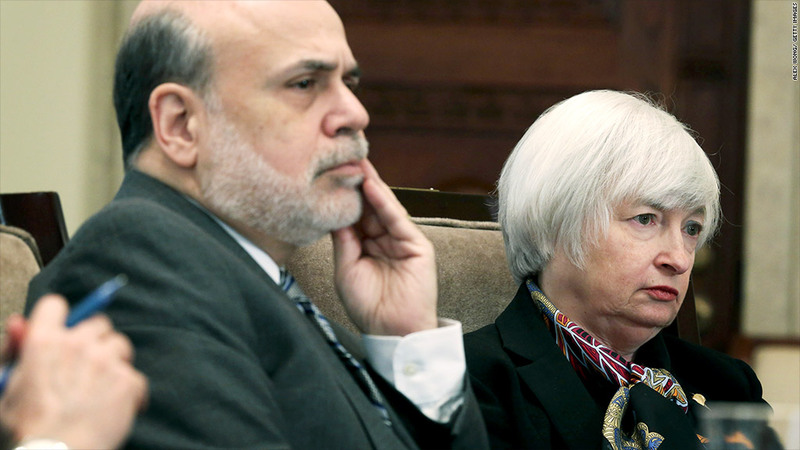 That has raised questions about the Fed's future tapering plans. While some of the sluggishness appears to be due to the snowy weather across the country, Sterne Agee chief economist Lindsey Piegza said any signs of a further stall in economic activity will increase the odds of the Fed pausing its taper plans. The January meeting was the last for former chairman Ben Bernanke. New Fed chair Janet Yellen has strongly suggested that she will likely to stick with the Fed's current plan to gradually cut back on bond purchases.